We need your support, otherwise this won’t happen!! In order to ensure live-streaming, Montpelier Bike Polo would like to invite Mr. Do. Montpelier Bike Polo, who are we? We have existed since 2011, we successfully organized the French Hardcourt Bike Polo Championships in 2013, and this year we are hosting the World Hardcourt Bike Polo Championships (WHBPC2014). WHBPC2014 will take place in Montpelier, a southern French city next to the Mediterranean Sea full of shellfish, seafood, and sunny beaches! But more importantly, in this city you will find motivated players who share the same passion as you - Bike Polo! Combine an ideal location and excited hosts with bikes, mallets, friends, nets, courts, and drinks and you have a monumental show! Mr. Do, who is he? A specialist of the art of live-streaming and video, Mr. Do comes from the United States. His craft: broadcasting bike polo around the world for all to see! Live-stream WHBPC2014. Games will be viewed ALL OVER THE WORLD!!! Bike Polo is rapidly expanding. Broadcasting WHBPC2014 is a way to share competition, global connectedness, and love of the best sport around at the international level! If you pay between 1-29 euros and you get a thank you from all the world-wide bike polo community. If you pay 30-59 euros, we will send you a t-shirt from WHBPC2014. They are nice and you can choose your size. 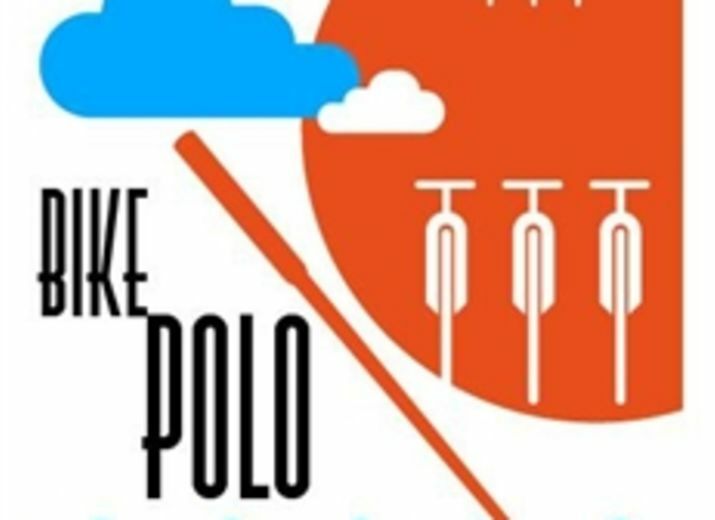 Whether it’s the latest fashion or not, you will have a bike polo t-shirt to be proud of. If you pay 60+ euros, you will get the ultimate…a second t-shirt! This time it will be from Montpelier Bike Polo. It is blue and BEAUTIFUL!!! And for the best contributor will have a front fixcraft hub. Montpelier Bike Polo has the equipment for live-streaming but we need your support to bring Mr. Do to WHBPC2014! YOU! Yes, you, bike polo player or friendly spectator! Send some euros and you’ll make the international bike polo community happy. For the love of bike polo, THANK YOU!!! As I am already taking part at the Championship this month and I guess I will receive a tshirt as well... can this one you'r giving for Mr. Do participants be a girl's size S ? It will be for my daughter! Merci bien!! See you soon les copains!